Here is a guide made by our HBM Guide Contest Winner, Krakyn! Click where it says "part 1, 2, 3" hyperlinked. 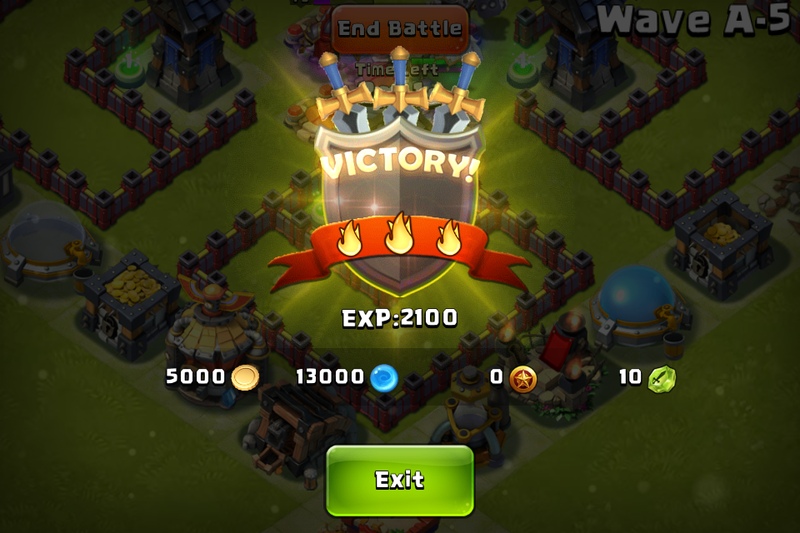 Welcome to my guide on HBM, which stands for 'Here Be Monsters', a feature of Castle Clash which incorporates traditional tower defence elements to the wider game. HBM is a part of Castle Clash you should try to make the most of, not something that should be viewed as optional, or unimportant. The reason for this is that it gives rewards which greatly influence your performance in all aspects of the game, and provides an incentive to focus on base design, rather than only worry about attacking and fighting in the Arena. 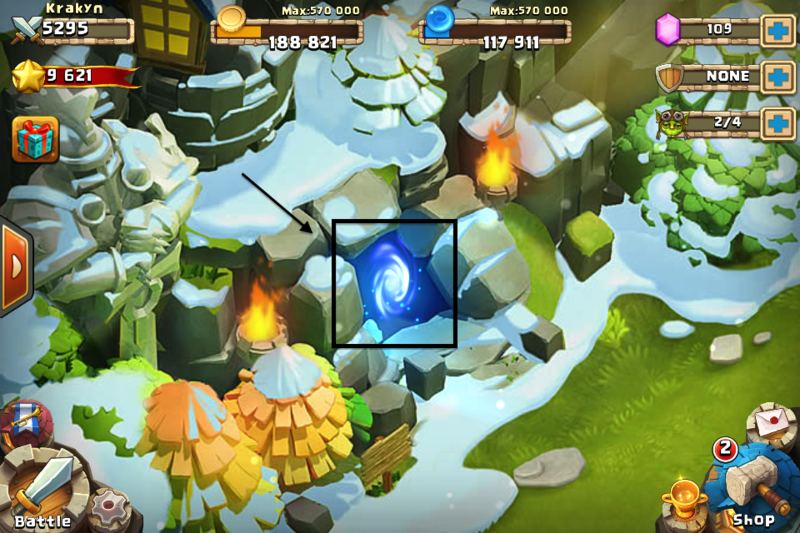 Firstly, to access HBM, click on the blue portal which appears in the top left corner of your base. This will open the HBM menu, from where all the magic begins. The following menu should promptly appear on your screen. From here, you can view the progress of the top HBM players (the sliding rankings on the left of the 'Challenge' page. From this page, you may select a level of HBM to start on. Levels are categorised in alphabetical order. As you descend deeper into the levels, they increase in difficulty. You have a limited number of attempts at HBM each day. You can store up to 4 challenge attempts at a time, and starting a level of HBM will consume an attempt, regardless of the outcome being a victory or loss. After every 3 hours, you are automatically awarded another challenge attempt. This does not occur if you currently have the maximum amount of challenges (4) avaliable, so be sure not to stockpile attempts. 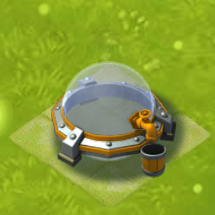 Defensive towers, Heroes, traps and friendly troops will all defend your base during HBM. This is much the same as defending in raids, but with some differences - you lose no Gold or Mana, Heroes do not need to be revived to fight, and all friendly troops killed are lost. 1. All enemies must be defeated within the individual wave time limits. 2. At the end of each wave, at least one building must be intact. Failure to elimate all enemies within the wave time limit, or the destruction of all your buildings means that you have failed the level. You will, however, be allowed to keep all rewards earnt up to the point of defeat. I will discuss rewards in depth later in the guide. Remember that failing a level doesn't mean you have to unlock all the levels again. Once a level is unlocked, it will remain unlocked forever - you will just start that level from the 1st wave. So don't be afraid to experiment, and give the next level a go! Rewards are perhaps the most enticing part of HBM, and are the main reason you should make sure that you are constantly earning them. There are four kinds of rewards which are given out in HBM - Gold, Mana, Hero Experience and Shards. The last two of these are the most important. Keep in mind that it is quite common to earn over 5000 Hero Exp from level 'A' alone, not to mention the insanely huge Exp offered in later levels. Shards are also an invaluable resource - an assured way to unlock legendary heroes. Gold, Mana and Hero Exp are given out at the end of every wave, whereas Shards are only given on the end of the 5th wave of each level. Keep in mind that as you progress through the levels, the rewards increase greatly. A random multilpier also applies to Gold, Mana and Hero Exp. 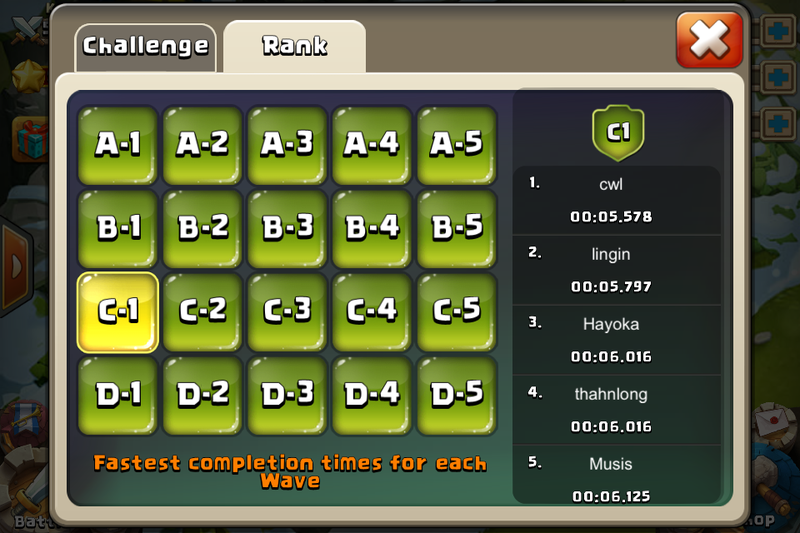 This means that the rewards of each wave are randomly increased by - 1x , 1.5x or 2x. So say the set amount of Hero Exp for wave A3 is 300. This means that via the random multipliers, you will either recieve 300, 450 or 600 Hero Exp. For a full list of the rewards given on each individual wave, please click here. (Please note that this list includes only levels 'A' - 'G', and also states which troops spawn in which waves). (Also, thanks to the CC Wikia for this resource). As mentioned earlier, as you progress through each wave, the difficulty increases. Each progressive way introduces more troops in terms of numbers and more challenging troops in terms of difficulty and level. 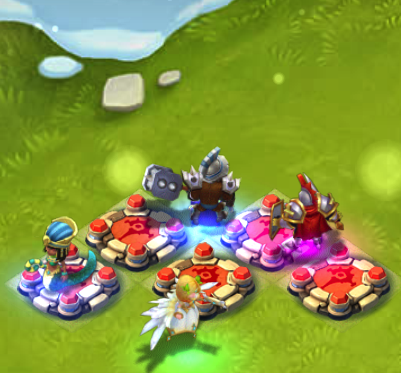 In HBM, enemy Heroes are also introduced on the battlefield before you. They also increase in difficulty - both in terms of levels and tiers, ranging from Ordinary to Elite to Legendary as you progress through levels and individual waves. A new Hero, the unofficially named "Dino of Death" also appears in the 5th wave of every level. He is much stronger than your average Hero, with insane hitpoints and a deadly melee attack, and an insanely good AoE proc which deals damage to everything around it. You have been warned! For a full list of the troops and Hero levels you will face on each individual wave, please click here. (Please note that this list includes only levels 'A' - 'G', and also states rewards for each wave). A multitude of elements decide the whether the outcome of a HBM attempt is results in victory or defeat. Some of these, are random and controlled by the enemy wave AI. Others, such as tower choice, building levels, hero placement, army camp troop choice and layout (which will be explored in-depth in the section below) are not just random, and careful planning and calculation of these factors can increase your capability at passing each wave. There is a seperate chapter later on which discusses specific hero selection choice, as well as garrison options in defensive towers. For now, we'll just discuss individual base placement. 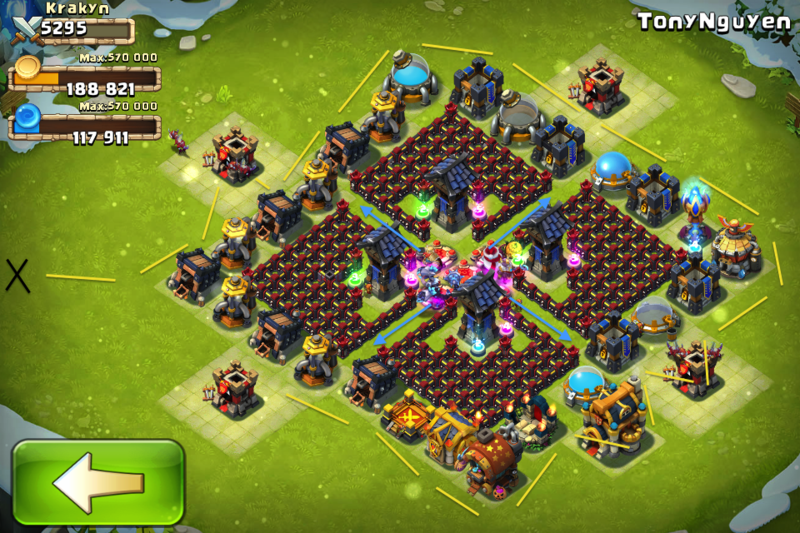 It is a necessity to place all your Hero Bases in the centre of your defence. Heroes should act as a deadly strike force used to eliminate an incoming wave of enemies quickly. For this reason, it is best to place all Hero Bases in a clump, to increase the speed of a wave being cleared, and to increase efficiency, meaning that the Hero which tanks the damage from the wave doesn't take as much as it would if the wave remained alive for longer. Also be sure to ensure that your Heroes never wander out of the range of your defensive towers, or they will tank the wave with nothing else to dish out some damage. 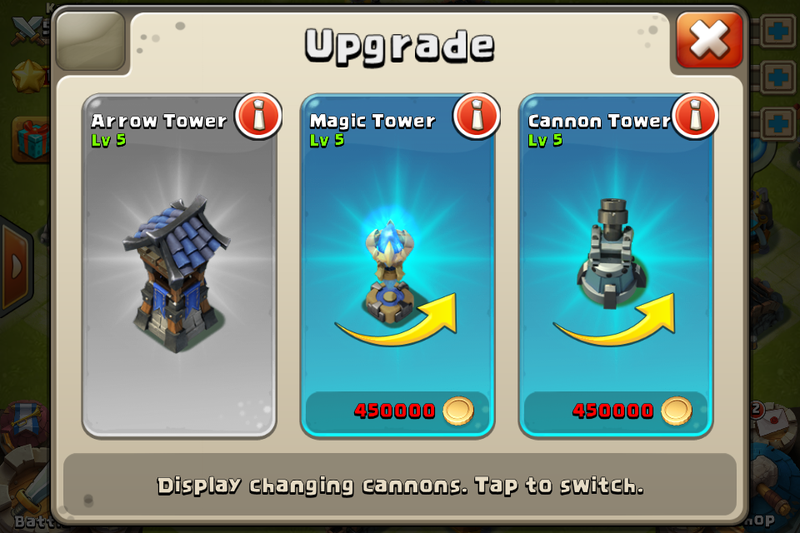 Regardless of whether you choose to employ the Arrow Tower, Magic Tower or Cannon Tower, be sure to level your defensive towers up to the maximum level your Town Hall permits. 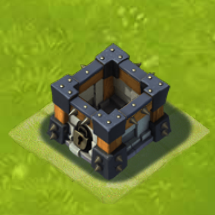 Ideally, the Arrow Tower is the best choice throughout all levels of HBM, however from waves 'A' through to 'C' it may not be a bad idea to combine 1 Cannon Tower with the remainder of your towers as Arrow Towers. This is solely because the troops in these levels are very succeptible to splash damage. The Magic Tower however, is just not a viable choice in the current metagame of HBM. When it comes to placement, be sure to place your defensive towers in the centre of your defence, in a prefferably symmetrical way. For information on Garrison Heroes, there is a specific section for that later on in this guide. Army Camps are a controvertial subject amongst the elite players of HBM. In my opinion, you should give no thought whatsoever to training troops for HBM, unless your Army Camps are incorporated as an essential part of your layout mechanics. The 'Fort' layout, discussed in the chapter below, is a good example of when troops should be trained. If you do end up training troops, Fairy Dragons are the ideal and most practical choice. If you favour a reduced training time and mana cost, Griffins are also very effective, whilst Ornithocopters can provide a very formidable layer of tankiness to your HBM defence if you are willing to pay the price in time and mana. 1. 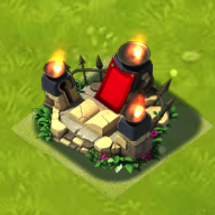 Keep every building in range of your defensive towers, or risk losing HBM by running out of time. 2. 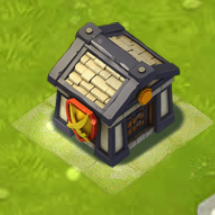 Place buildings with high HP, such as Vaults, Town Hall etc closer to your defences than other buildings. 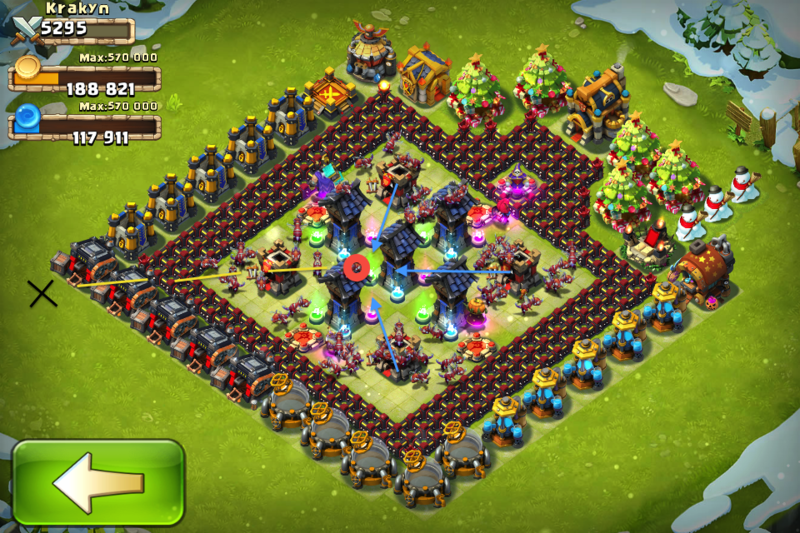 A good layout is perhaps the most important factor which can lead you to victory in HBM. From my experience, there are three main layout types which seem to consistently work well in HBM. In order to have a succesful layout it is advisable to have more than four defensive towers unlocked, otherwise you will have a hard time passing even early levels. Keep in mind that all of these layouts involve high level Arrow Towers, which in my opinion, are the only towers that should be used in HBM. Without further ado, let us explore some good layouts. (Credit to Tony Nguyen for the picture). This is my personal favourite layout, which requires 4 Arrow Towers, at Town Hall 13. It can, of course be done with less walls by removing the inner ones, ensuring that you keep the outermost layers intact. Let me explain how this works. Let's assume that a wave spawns at the black X. The enemies will approach the gold mine, then destory it, proceding to follow the yellow lines, destroying all buildings as they progress. They will not target the Arrow Towers, even if they are ranged troops and Heroes, these can both not fire over 3 spaces. This ingenious design means that no enemies will enter the core before all the surrounding buildings are destroyed. By the time this occurs, the Arrow Towers will have devasted the enemies, before the can progress. In the event that an enemy does wander off into the core, all all surrounding buildings have been destroyed, all 5 Heroes will immediately focus those enemies entering the core, decimating everything quickly and efficiently, before the have a chance to damage any Arrow Towers. (Credit to Isabella for the picture). I also like this design, however I don't use it myself. This variant requires 5 Arrow Towers, however modifcations could easily be made to incorporate less Towers and Walls. To demonstrate it's effectiveness, let's assume a wave spawns at the black X at the top left corner of the screen. This wave will follow the yellow line, destroying everything in its path. Keep in mind that all this time, a minimum of 3 Arrow Towers are shooting at the oncoming force. Once the wave reaches the second black X, the AI instructs the troops and Heroes to target the next closest buildings - the Gold Vauilts and Town Hall, all of which have a huge amount of hitpoints. Whilst the enemy troops focus all their damage on these, the friendly Heroes and Arrow Towers have enough time to shred them to pieces, making quick work of each and every wave. (Credit to 3rd Placed Player in HBM [Chinese Username] for the picture). I don't especially like this design, but for the 3rd placed player to be using it, it must work. 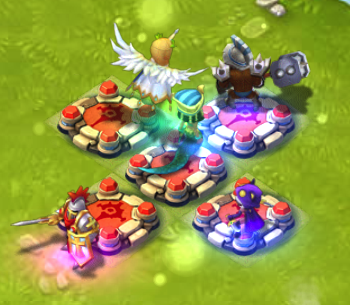 It requires 5 Arrow Towers, however can easily be modified to account for less walls and one less Arrow Tower, by replacing the middle Arrow tower with the Hero in the top right, and removing that space where the Hero Altar was. The basic principle here is the same as the Clover design - the desire for the enemy wave to circle around the core until all buildings are destroyed, whilst allowing the Arrow Towers to target them. In the event that the core is breached, say staring from the black X, following the yellow lines and reaching the red circle, the enemy force will be decimated there. 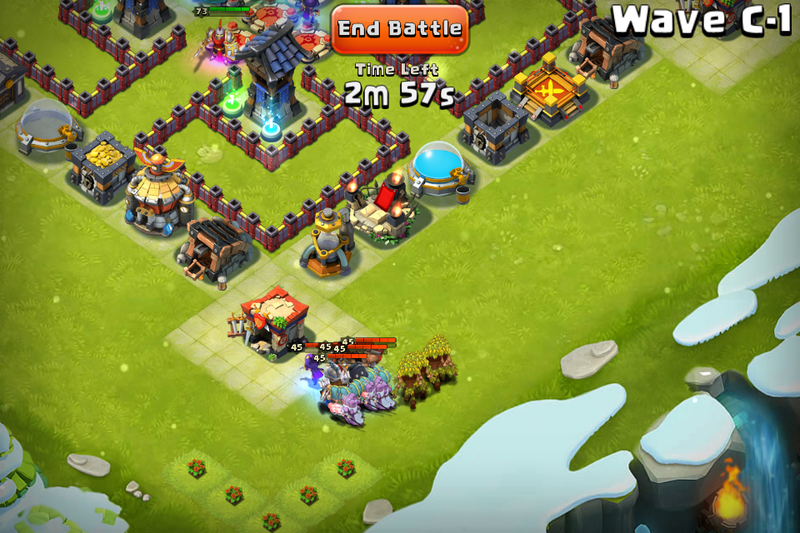 In an instant, 5 Heroes, 5 Arrow Towers and 3 full Army camps will make quick work of the enemy troops and Heroes. 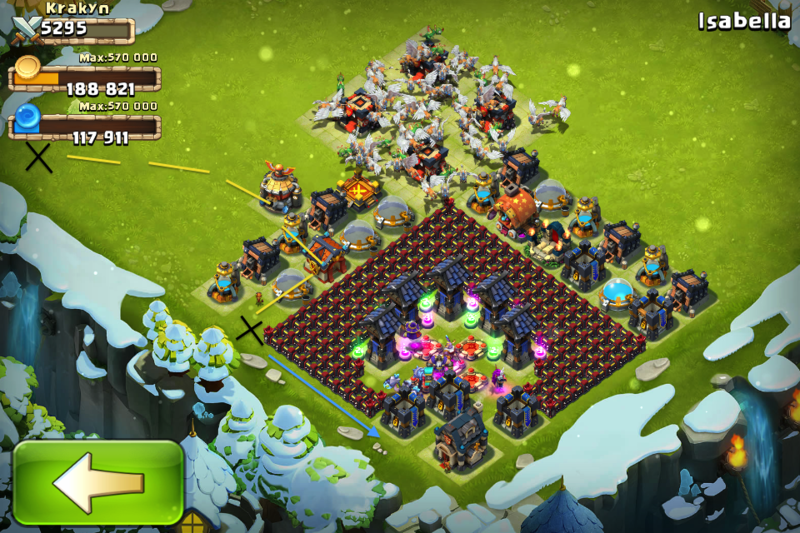 To make this very clear, this layout relies on full army camps every time HBM is attempted. As with Arena and Raids, there is no definitively "right" combination of Heroes. As per usual, if you are lucky enough to have some Legendary Heroes, make sure you use them in HBM. But don't fret if this doen't apply to you, because there are alternatives which I will mention below. 1 Hero with a Healing proc. 2 Heroes with high HP. 2 Heroes with an AoE proc. 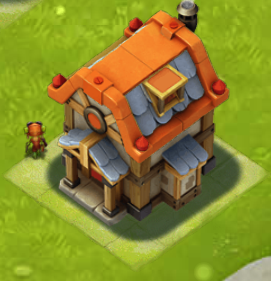 Most of the time, you'll want to Garrison some heroes within your defensive towers. However, before doing so, ensure that you have your optimal hero composition in place - don't garrison your Druid! Secondly, garrisoned heroes also take their equal share of Hero Exp earned in HBM, so keep in mind that if you are focusing on levelling up the Heroes you have deployed, you should consider not garrisoning. 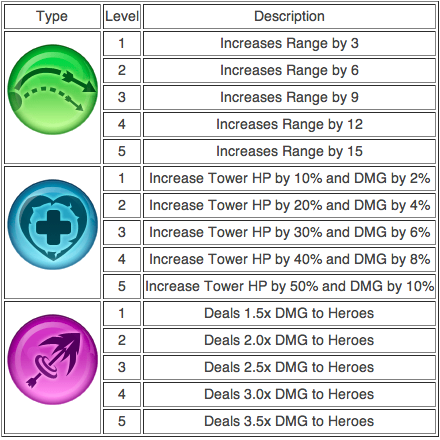 If you were to choose the Arrow Tower, which as mentioned before, is the optimal choice for HBM, there are only really two tiers of Heroes worth garrisoning - Ordinary and Legendary. The bonuses these two provide work well in synergy, as the Ordinary garrison bonus allows the tower to prioritise enemy Heroes as targets, and the Legendary bonus increases the damage dealt to these heroes dramatically. Also, don't understimate how powerful the additional range bonus can be. 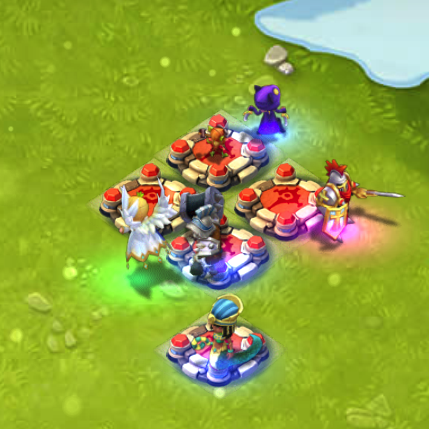 As mentioned in Part 2 of this HBM guide, Cannon Towers are only worth using in levels 'A' - 'C', because this is when the enemy waves are made up of troops that are succeptible to splash damage, such as Hunters and Pyromancers. 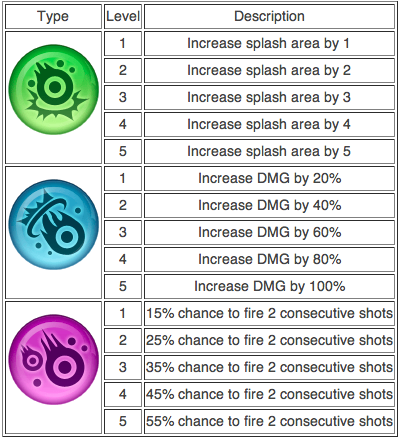 Here the Ordinary and Elite garrison bonuses would prove most useful, because of their consitent damage output. The Legendary garrison bonus is very good, however I personally prefer to back away from anything that involves a percentage chance. You want consistency when farming in HBM. For the Magic Tower, the choices are undoubtbly the Ordinary and Legendary garrisons. As I just mentioned, I dislike the notion of anything concerning chance and inconsistancy, so that completely rules out the Elite garrison. 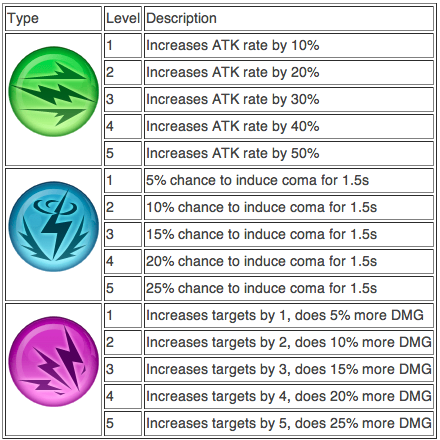 In addition to this, a 1.5s coma isn't exactly the greatest duration in the game - an insignificant effect given the 3 minute wave time limit, especially when considering that at garrison level 1, you have the same chance as inducing coma to an enemy as rolling a Legendary Hero. To conclude, HBM is a strategic and integral part of Castle Clash. In order to progress quickly in all aspects of the game, be sure to not neglect HBM, and reap all the rewards it offers to whatever extent possible. It isn't hard to succeed at HBM if you persist and try to design your defence well. Don't be afraid to switch things around or experiment with new tactics - this can often be the difference between failure and success. I hope you learnt something valuable from this guide, please PM me if you have any questions or suggestions. Good luck, and watch out for the monsters!